Who hasn’t lost track of how many logins and passwords they’ve had to make since the Internet came along? A bother from the beginning, we’ve now come to take them for granted as we accept that in order to communicate with our friends, family and the outside world, we have to in various degrees mask our identities. To be honest, although I had been coming here longer than before I got a farmhouse, I had until recently no clear idea of how many neighbors I had and where exactly they lived. The language barrier was one reason. In Tokyo I can generally understand what is being said around me, but here on the peninsula people, particularly seniors, still speak a local dialect–despite the fact that Tokyo (or at least the faint, faint forms of factory smokestacks and skyscrapers in Kawasaki) are visible just across the bay. To locals it’s totally normal to interchange names, but for outsiders it can be source of dizziness. In a sort of consolation, most Japanese outsiders who have never lived in the countryside are also left in the dark regarding who’s who and where in this naming system. 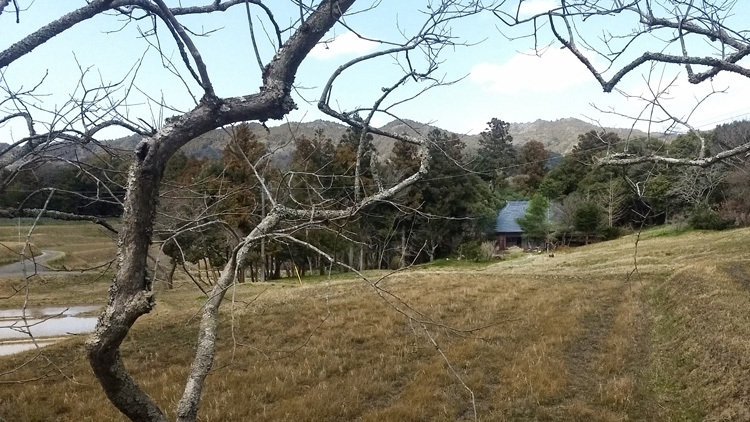 Tamanoi began her fieldwork on Japanese house names in the late 1980s, only after returning from the United States where she earned her doctorate and gained a teaching position. 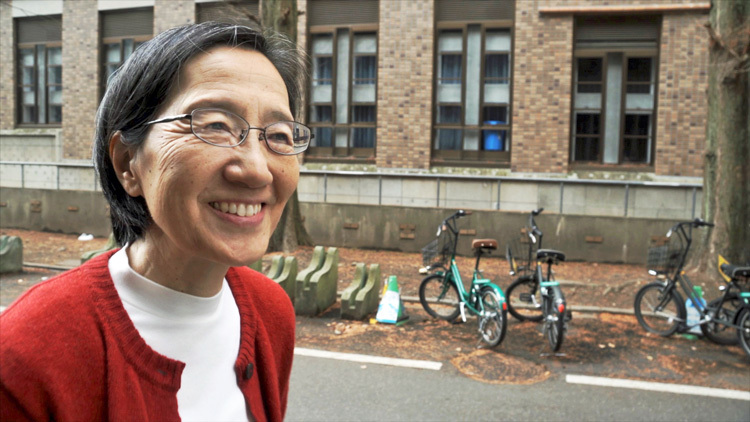 Her specific focus then was rural life in Mexico and Spain, but she says she suffered an “identity crisis” brought on by an unavoidable question from one of her students that brought her back to Japan. 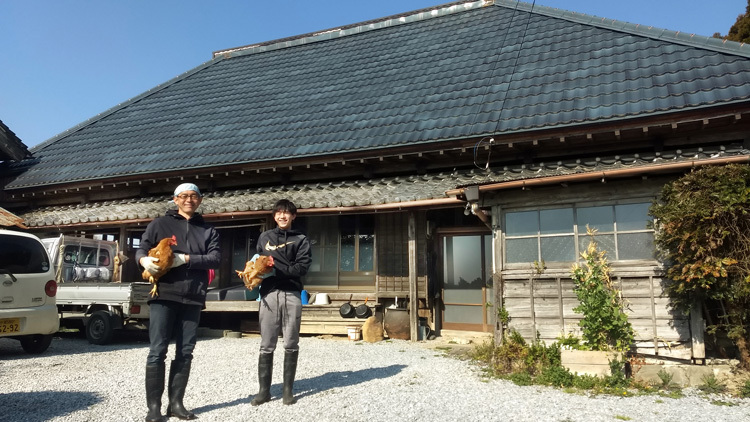 Tamanoi chose to do her Japan fieldwork in a small community in mountainous Nagano Prefecture, where she was immediately confused–and drawn in–by the house names and began to categorize them. (While there she also first encountered her present field of research–the displacement of war orphans–because the area received many returned settlers from Manchuria after the Japanese surrender). The most common names she found refer to geographical features associated with the location of the house (“Upper Tier,” “Riverside,” “Across”). 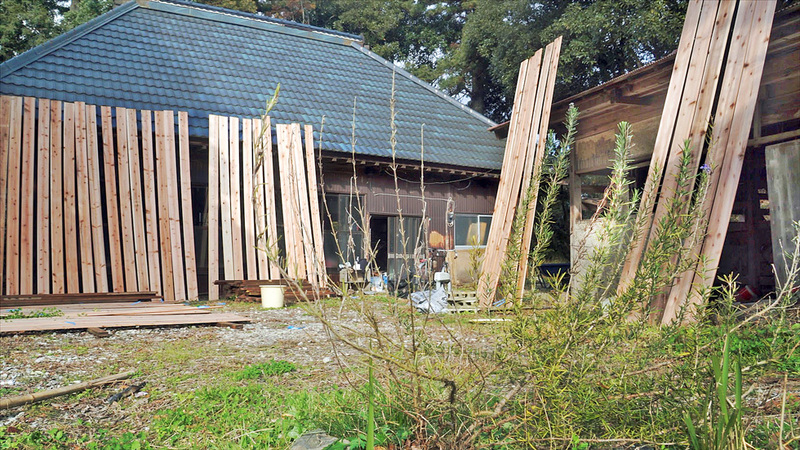 Others refer to the professions of long-gone occupants (“Kajiya” ironsmith; ”Burikiya” tin shop; “Getaya” wooden sandal shop), while others mark the relationship between a main house and its extensions (“Shintaku” new house). The first names of ancestors (“Jirobei,” “Kanjiro”) are also quite common, because farmers did not have to have last names until the Japan’s 19th century modernization. Some yago, however, are rather more inexplicable in origin (“Kami” which can mean “up,” “paper,” “woman of the house” or even “god;” “Sora” sky; “Kage” shadow; and “Sobayakajiya” soba noodle ironsmith). Finally the yago can also simply be same as the owner’s name. 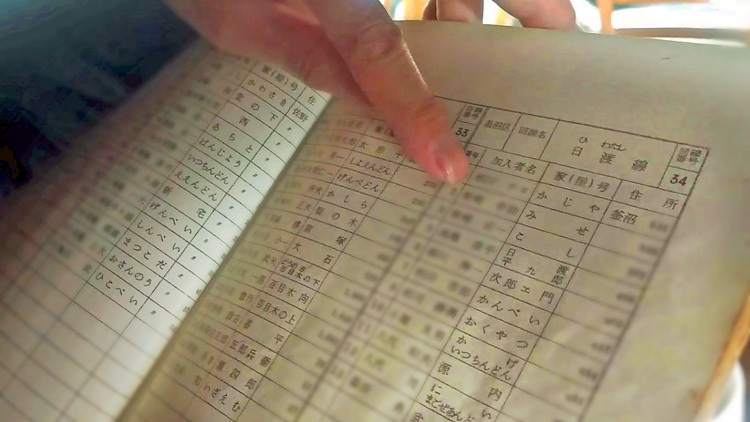 Fortunately Tamanoi discovered that there is a “cheat sheet” matching the varied house names with their occupants–the local telephone directory. Until about the early 1970s, when regular telephone landlines reached each home in each village, residents were connected to each other by local telephone lines operated from a switchboard usually located at town hall. The names of the residents’ houses were listed out of necessity because certain names in certain villages are extremely prevalent–even if the owners of those names say they are not related. I probably would still confused about my neighbors if a friend hadn’t found a copy of the 1964 local telephone directory for Nagasa (the old name of my community before it was incorporated into the the city of Kamogawa) a couple of months ago and showed it me. I poured over it and in turn showed it to local elders who offered fond memories of the analog SNS system of the day. The house-to-house phone network was very convenient, my neighbor across the road told me, because he could get the veterinarian’s attention immediately if a cow got sick (the cows, like the phone system, have disappeared). 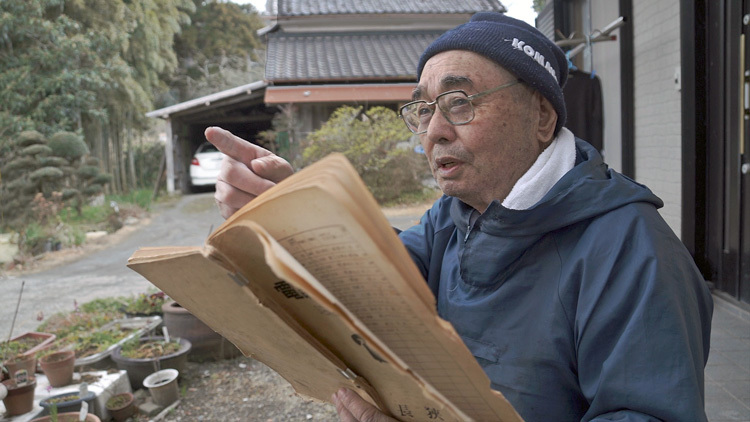 Another neighbor, 87-year-old Eiichi Yamanoi, who lives a few rice terraces above my place in the house named “Ue no Dai” (upper tier), explains that it was also very useful for surreptitiously catching up with neighbors’ goings-on. “When you heard the telephone ring in someone else’s house you could pick up the receiver in your own and hear everything they were talking about,” he chuckles. Yamanoi says that knowing what name to call someone was never a problem, because starting as children everyone called each other by their house names, although apparently not outside the community. (When I was brought to the local hospital after a small accident i saw my neighbor there and called out her yago name–The staff looked shocked, as if I’d had a concussion or they’d given medication to the wrong patient). Looking at the phone book, Yamanoi says the list of houses is still up to date, except for a couple of subtractions. “Your Koshi,” in the possessive. Clearly “Koshi” hasn’t disappeared physically–although it was surrounded by vines and was slowly turning into a marsh until I moved into it–so I took it to mean the name had been “disappeared” and not uttered for decades. As he spoke it, I sensed a hearth rekindle. My old neighbor had revived the yago (one rather unpoetic as they go) and given me my username.